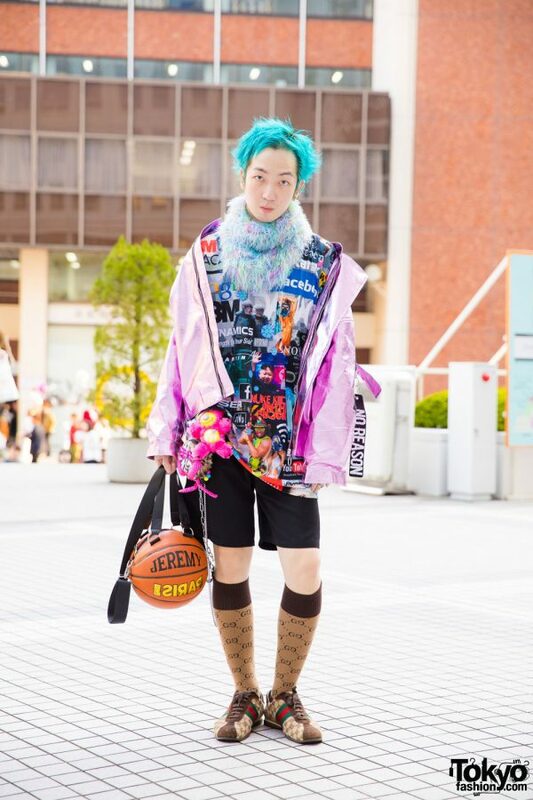 Kenta is a student who caught our eye with his aqua hair and his colorful outfit on the street in Tokyo. 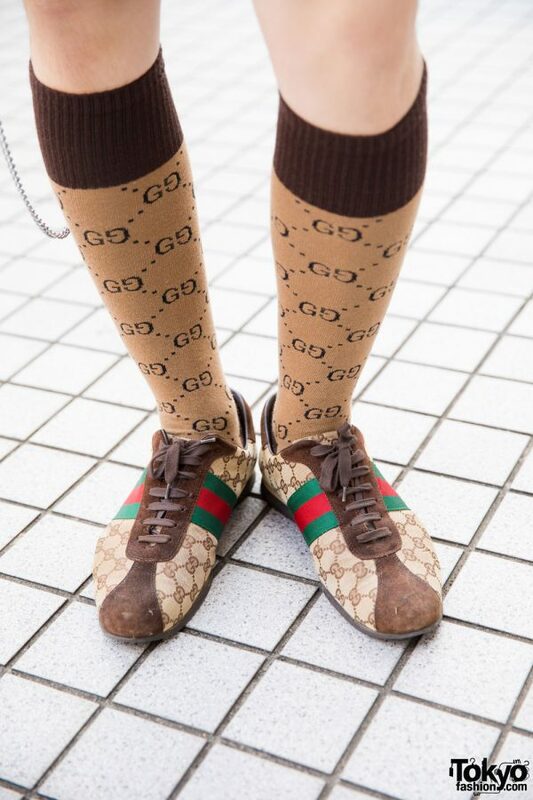 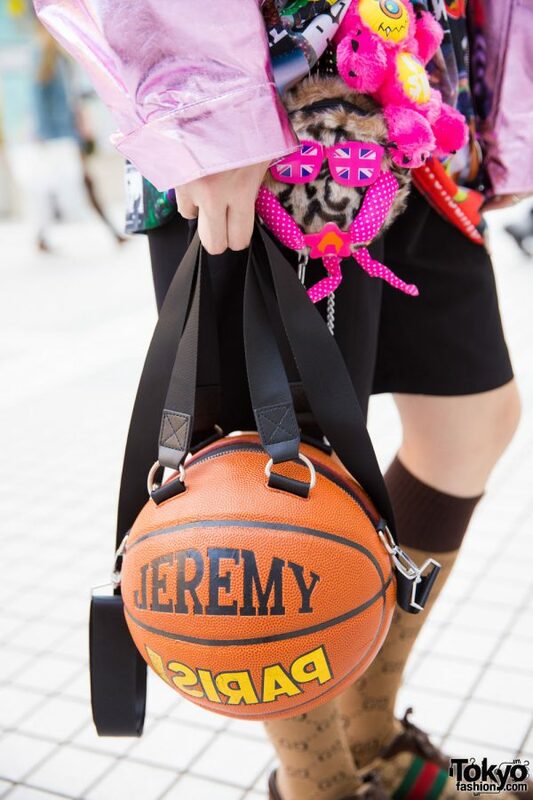 Kenta is wearing a Rauco House pink jacket over a printed shirt from Damage, Zara shorts, a Jeremy Scott basketball handbag, Gucci socks, and Gucci sneakers. 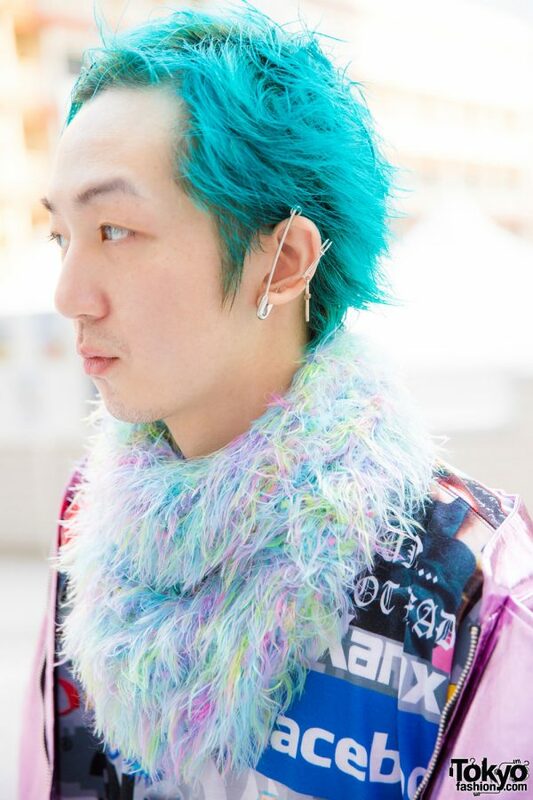 His accessories – some from Galaxxxy – include a colorful fuzzy neckwarmer, safety pin and cross earrings, and plushie toys. 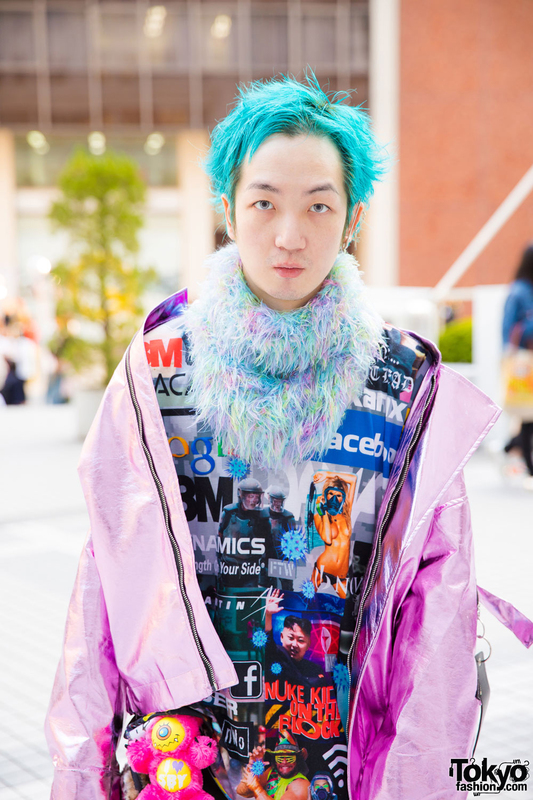 For his social media updates, follow Kenta on Instagram.